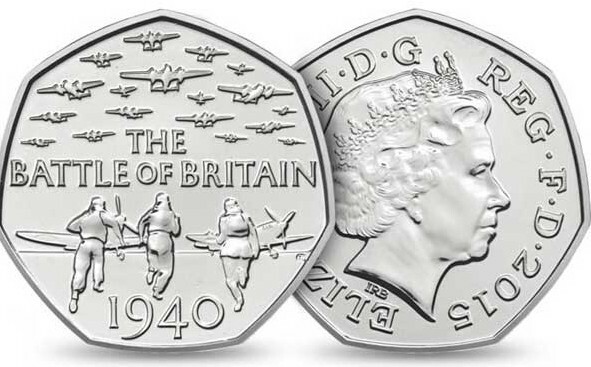 To commemorate the 75th anniversary of the Battle of Britain, one of the most infamous air battles of World War Two, Britain’s Royal Mint has produced a collector’s 50 pence coin. The silver coin depicts three pilots running to their planes underneath a skyline full of aircraft. It reads, ‘The Battle of Britain’ and ‘1940’ around the edge of the coin. 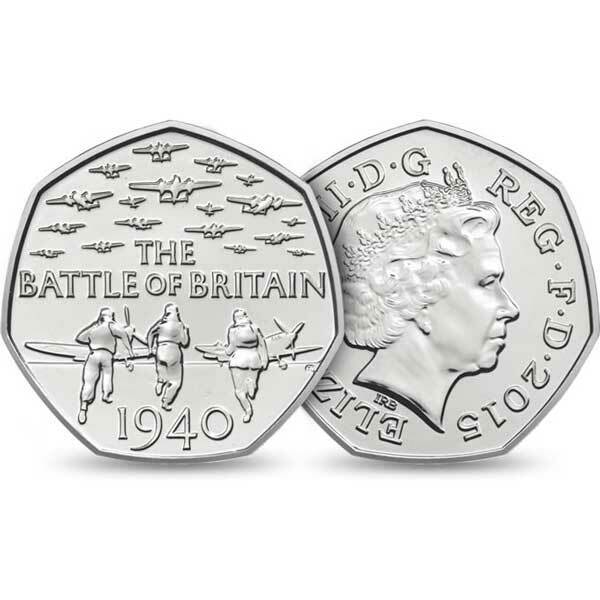 However the coins have been criticised since the coin’s packaging, a wallet with war time artwork and writing on it, has depicted aircraft model who did not take part in the Battle of Britain. The wallet’s pictures show a Spitfire on the front, however that particular Spitfire model was not in service in 1940, it came into service in 1942. The actual coin is accurate in its depiction of the battle and was designed by Gary Breeze, who is an artist and sculptor. The wallet also features livery and a squadron which were not used and not formed at the time of the Battle of Britain. The coin has so far been popular with thousands being sold at £8 each. It was Wing Commander Andrew White, who was a Royal Air Force officer, who noticed the historical inaccuracies on the coin’s packaging. He noticed it when he was sent a brochure advertising the coin for sale, The Telegraph reports. 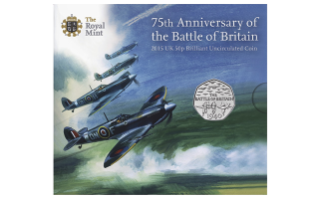 Mr White says he is amazed that the Royal Mint chose a selection of images that have no connection to the Battle of Britain at all. He likens the mistake to a package for a coin commemorating the Battle of Trafalgar using a submarine to represent it. Mr White says he could see that the aircraft on the packaging had cannons on the wings, which is consistent with the Spitfire.Yellow stripes shown on the wings in the image were not used until 1941. The Royal Mint has confirmed that the images show Mark IX Spitfires, which entered service in 1942. There are also four other planes in the picture with green and grey livery, which again were colours not used during the Battle of Britain. The squadron in the picture is 124 squadron, but they were not formed until the summer of 1941 and they didn’t get to fly the Spitfires until 1943. The Royal Mint has apologised for any offence caused, but said that the images on the packaging for the coin were purely for illustrative purposes to depict World War Two overall.